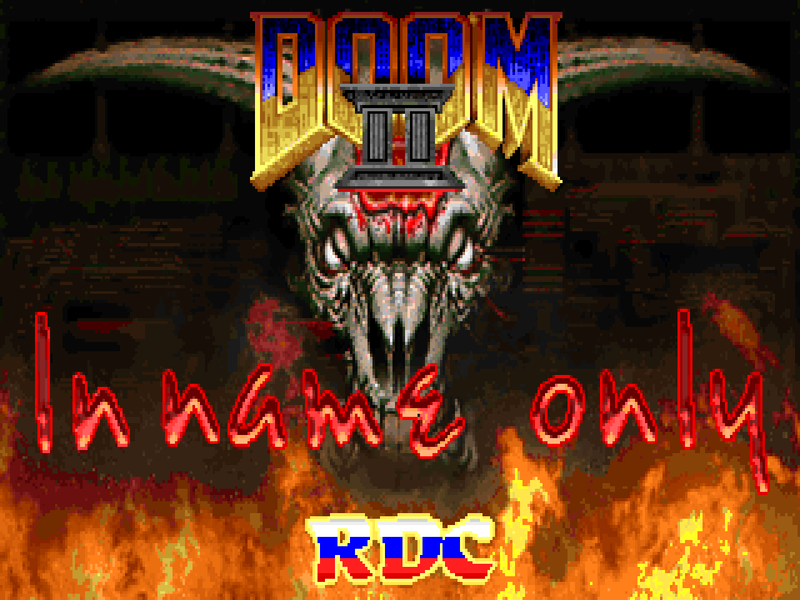 The story is... exactly the same as Doom II, actually! BigMemka sets the scene as you step off the spaceship and into the starbase. The only real issue with the setting is that, well, D2INORDC is more sewers than starbase. 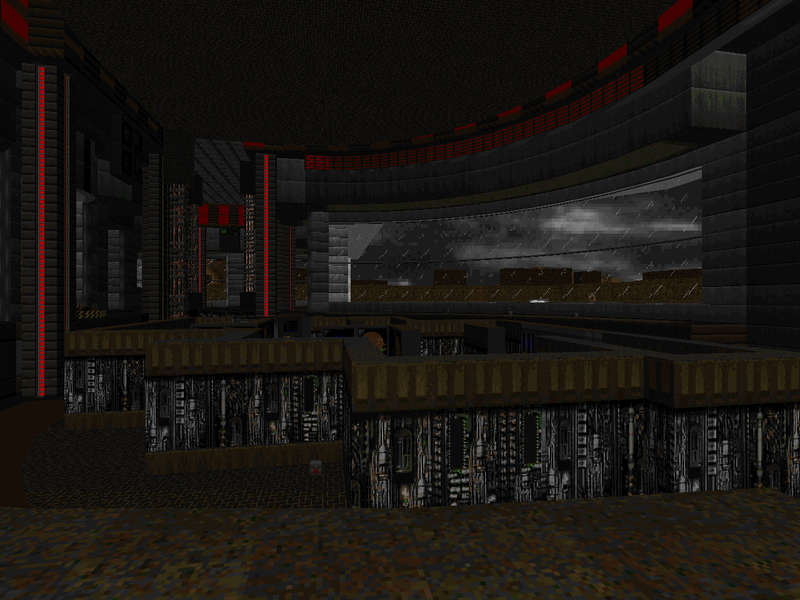 You get brief snatches of the greater UAC facility, like the enormous computer banks in MAP04 (also by BigMemka), but waste dominates this mapset, particularly once you reach the double-whammy of MAP05 and MAP06. 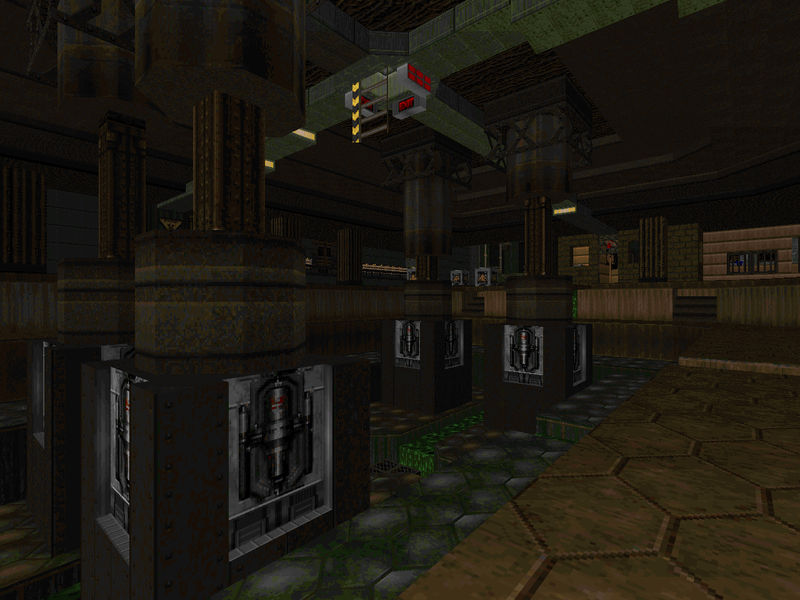 These two enormous levels take you through the very depths of the station, including helipads, an enormous network of waste tunnels, and tons of cryptic machinery. "The Waste Tunnels" and "The Crusher" are as big as this mapset ever gets. While the rest aren't necessarily any easier (especially "Tricks and Traps"), they are definitely shorter, and you'll probably find that the first four levels will blow by at lightning speed. Chaingunner provides a cramped and moody network of waterlogged tunnels and you can always count on Memfis to produce an action-packed gauntlet. They're sandwiched in between Memka's stuff, which does a good job at anchoring this adventure to the UAC facility setting with a bunch of eye candy. BeeWen's solo adventures are pretty variable as far as gameplay goes. "Dead Simple" is... a pretty simple concept done to death, though the repetitiveness is far less poisonous than I've seen elsewhere. At the very least, his monster placement will keep you moving around until you've figured out what you want to do. "Tricks and Traps" will be a huge stumbling block considering its sheer hatred for the player. Contortionists will find a welcome challenge, however, and all the moving parts may come as great fun for players who love to twist levels around like a Rubik's cube. "The Pit" is the most normal of the bunch, even with its lovably absurd exploding crates. I've seen a term used to describe the RDC's style under a broad generalization; Russian realism, I believe. 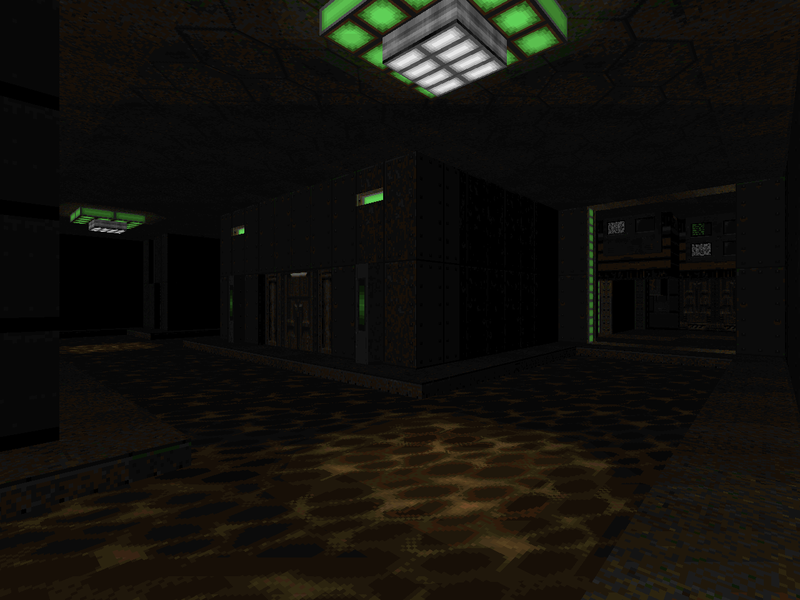 The phrase suggests a level of fidelity often unseen in the purposefully abstract stylings that tend to dominate modern releases, a greater dedication toward making Doom feel more like a space that you can actually inhabit, more reliant on the author's imagination than the player's. I think that the most important aspect binding the Russian community together - stylistically, at least - is a disregard for the fetishization of map flow that you see in modern stuff like Back to Saturn X. The attitude gives the concept of the player more credit when some authors seem terrified to let go of their hand - "never let them wander, or you will lose them forever." D2INORDC doesn't really embody either of these aspects any more than I would expect from your average PWAD. 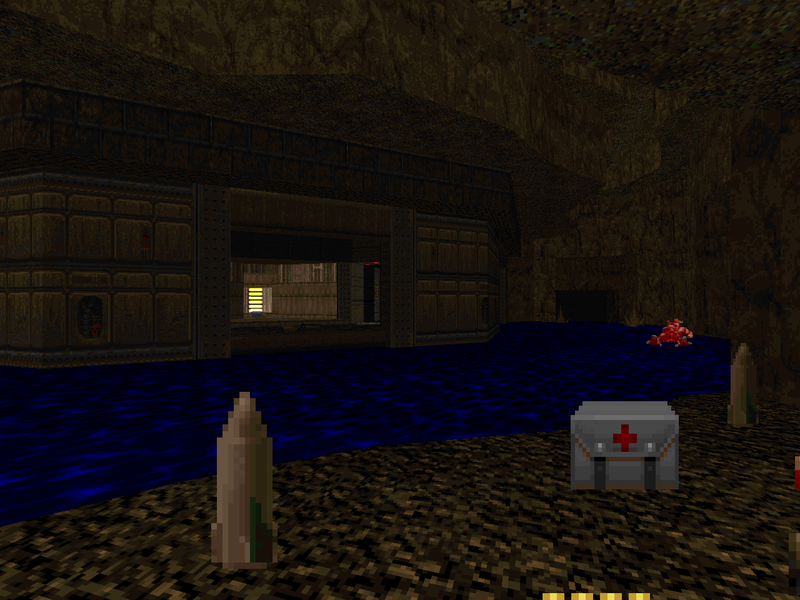 It's still committed to delivering Doom II action, albeit at a more challenging level. Sure, you've got stuff like scripted exploding crates (way cool! 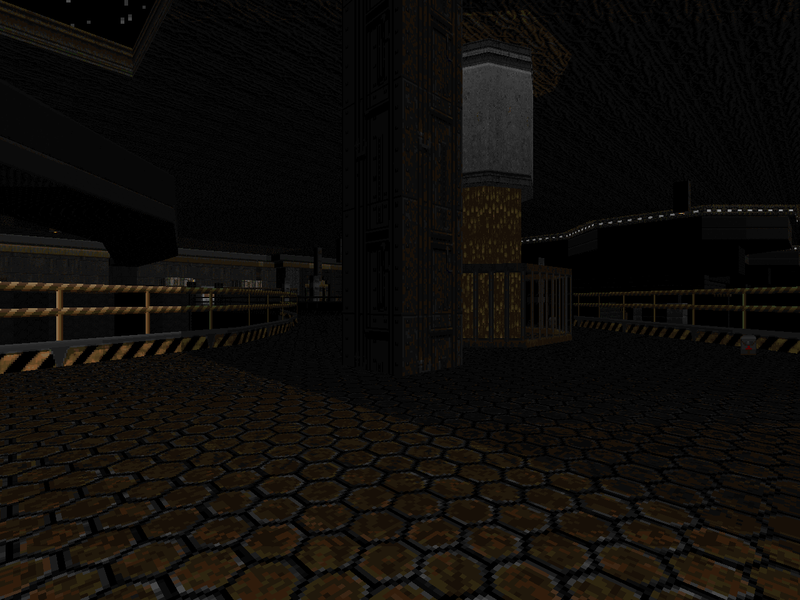 ), the opening space port in "Entryway", and the sprawling facilities of MAP05 and MAP06, but it isn't really outside the bounds of normalcy. On the other hand, limit-removing, new textures, and new music combine with somewhat less abstract architecture and layouts to create an experience that draws a more contiguous narrative than D2INO. If BeeWen and company were to put their heads together and fill out the rest of the experience, I'd certainly be there to play it. Memka starts us off with some pistol-whipping action in this take on "Entryway". Important bits - you actually step off a space craft and into the space port, and there's an homage to its namesake. Memka also starts things off pretty heavy since all this pistol, shotgun, and chaingun action is against not only zombies and imps but a group of cacodemons and a few revenants in potentially tight quarters. 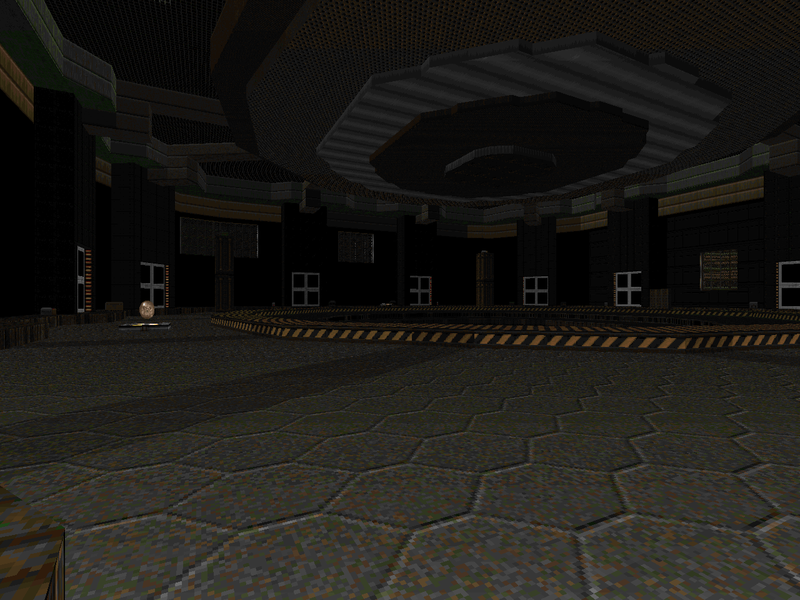 It's a short opener, but stepping into a more identifiable starbase is a nice change of pace. A slightly different take on cramped aesthetic of "Underhalls". For whatever reason, there's a lot more exposed wiring, which leads me to wonder just how safe this particular brand is. The random computer panels keep things vibrant, along with the neon green lights. Like the original, it's still totally stocked with hitscanners, weighing more toward demons in the latter portion, but Chaingunner has a few surprises in store., including a dutiful repopulation of the route to the red key door. 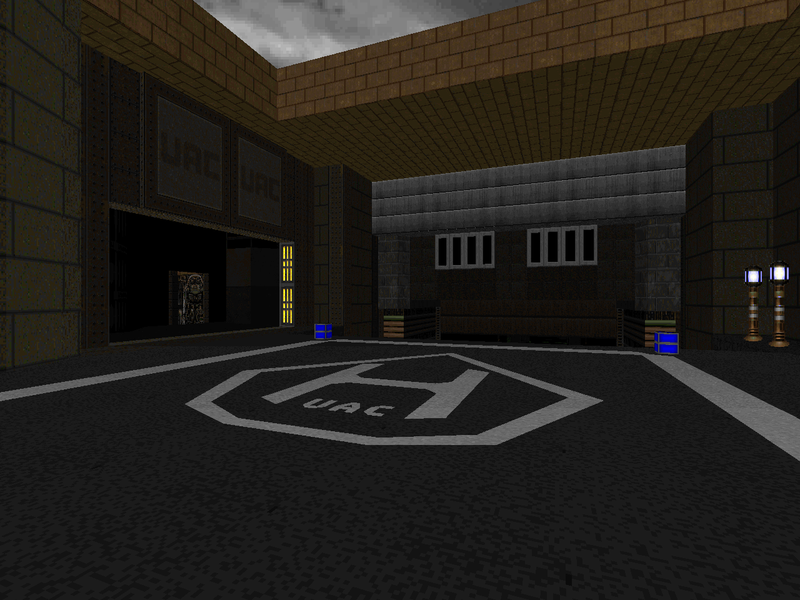 Some glimpses outside of the UAC's approved pathway add a bit of depth to the experience. Memfis delivers a solid action-packed morsel that keeps you moving through monster placement and ammo pacing. You really don't have what it takes to slay those mancubuses at the beginning, so it's into the poison you go, driven out by damage and having to contend with a bunch of demons. When you put the combat shotgun in your hands, the nearest box of shells has a revenant dancing on it, with a bunch of imps running interference. Things only escalate from here, though I somehow wound up with the rocket launcher and completely forgot about it, which might have made the arch-vile encounter easier to deal with. You'll still have to take on a relatively chaotic battle in the tunnel to the northeast, which includes a complementary pain elemental. Tight, fast, and fun. 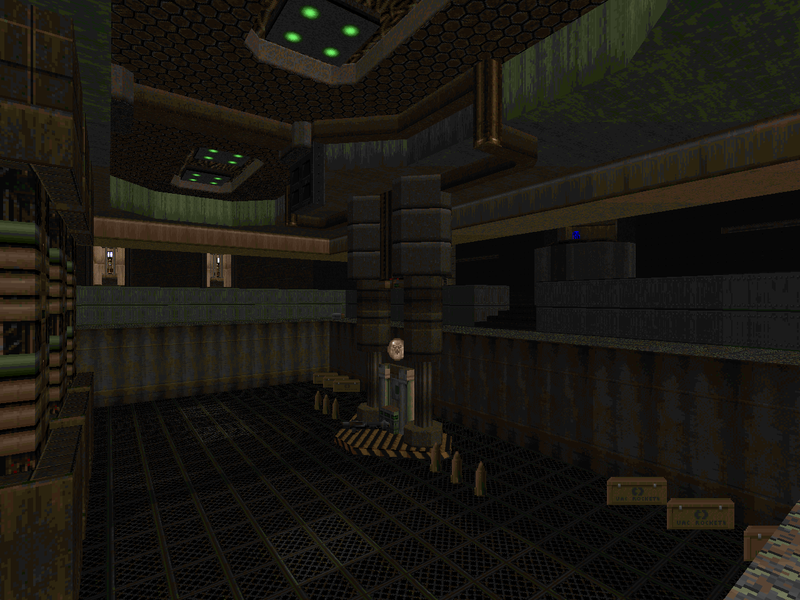 A techbase level from Memka. Well, mostly techbase, with a caged aqueduct that houses a tantalizing secret. 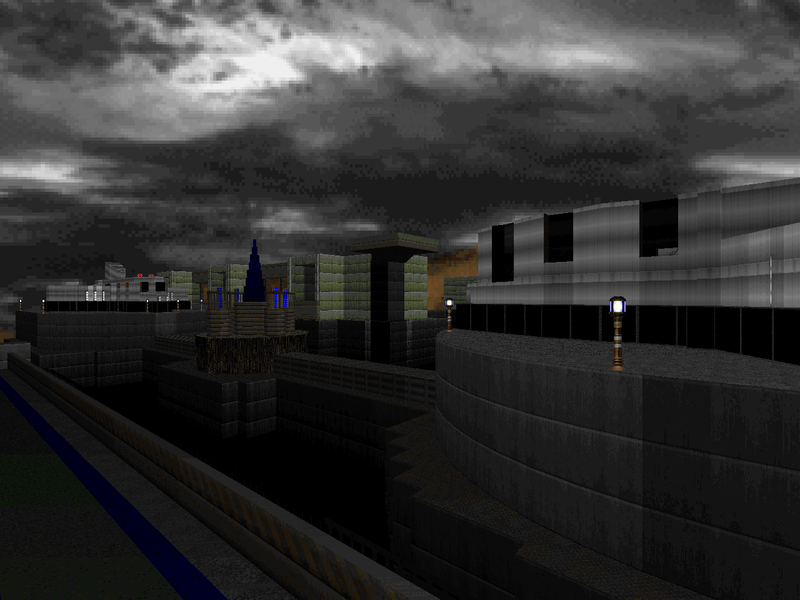 The Halloween theme matches the opening part, with its reliance on shadow and surprises to push the player forward, but once you reach the enormous computer stacks with the tall window looking out into the brightly-lit valley, it loses some of its efficacy. The level has a lot of combat shotgun action against higher-HP monsters, with a large group at the yellow key filtering out to mob you, including a surprise pain elemental. A pretty straightforward outing. A sudden left-turn into sprawl. This enormous level epitomizes "The Waste Tunnels" in just about every possible fashion. Of course, it starts out at some kind of UAC processing facility before getting to the tunnels proper, the very edge of which bumps up against an underground cavern that you'll enter from, though not before opening the blast doors that seal them off and slaying the Spiderdemon guardian. 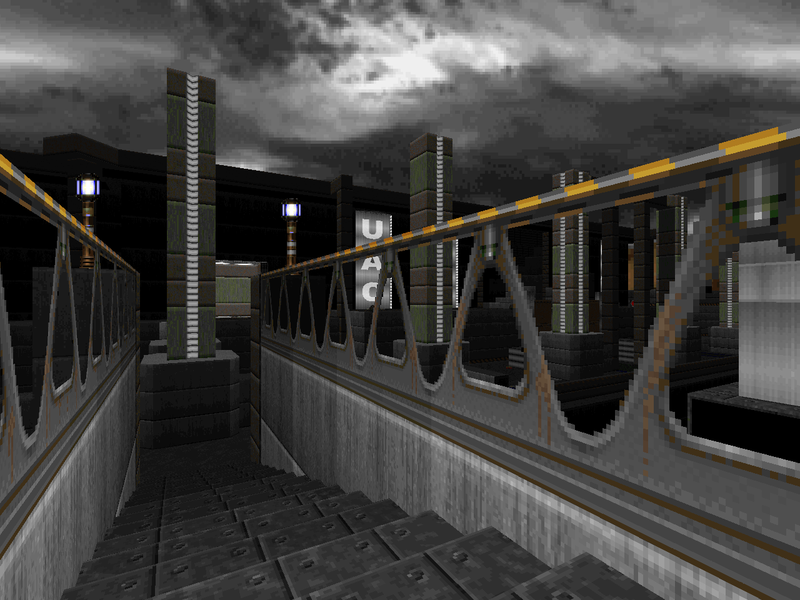 Most of this level's real estate is dominated by the tunnels nukage-filled channels sparsely populated by specters and linking up isolated military facilities, including a warehouse that's the scene of a slaughter and the keycard apparatus which opens up the door to the underground railway. It's huge and has lots of high-HP monsters to chew through; upwards of 700 by the time you're done, actually. There are a lot of unique areas to explore, so put on that spelunker hat and get to work. It's gonna be a long one. Props for having a pretty sizable bunch of extra stuff available after returning to the beginning with the blue key. Oh, and the tram trick. 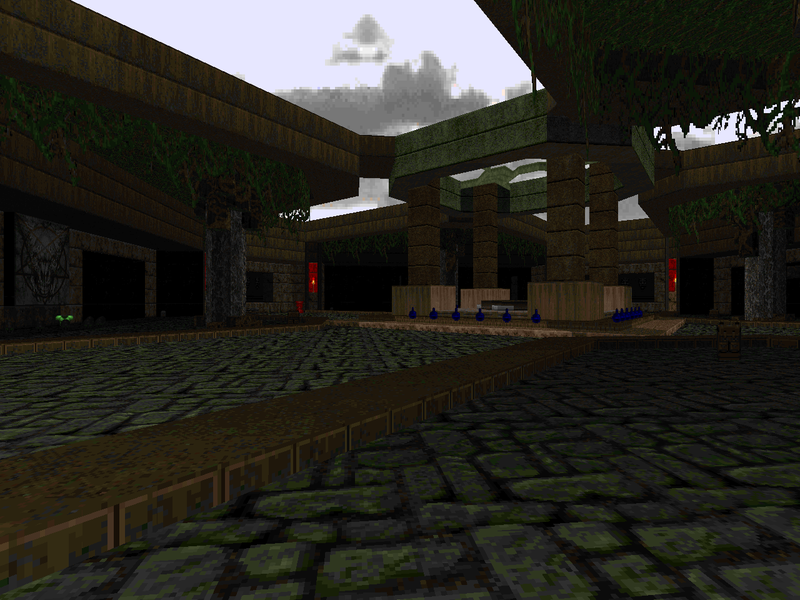 by "Dragon Hunter" and "BeeWen"
Essentially an extension of MAP05, both in setting and in scale. The tram takes you to the other side of UAC waste processing, and is littered with all kinds of machinery... but most of it's crushers, including THE crusher. It's also got a sort of "vast underground complex" thing going on, especially with the canyon that divides the western section from the main level. 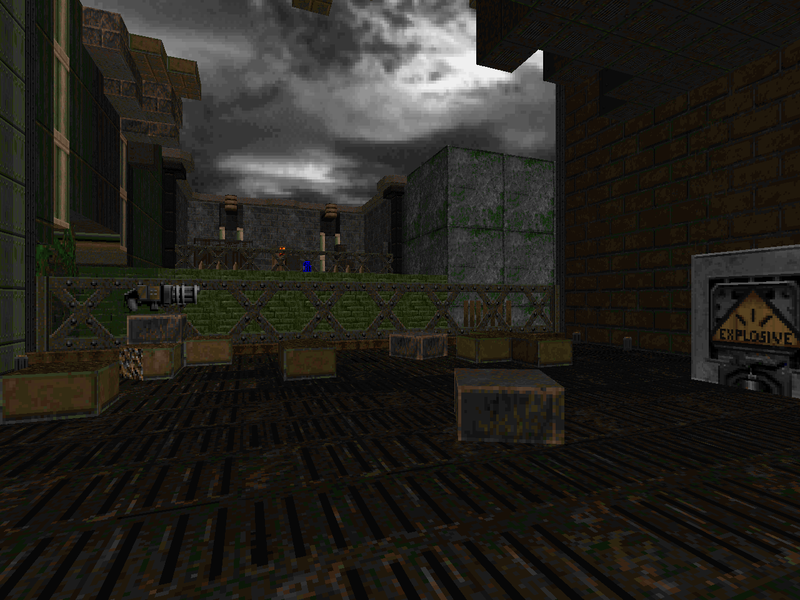 The majority of the original "Crusher" is hidden away inside the map, albeit in an altered state. You'll know it when you see it. 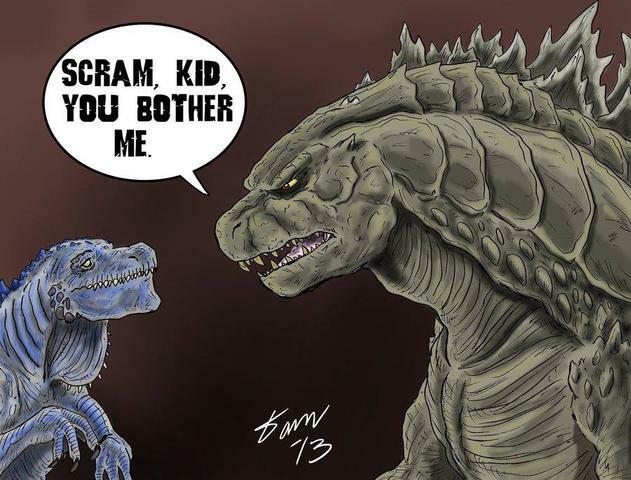 The stakes are slightly higher, with a greater lean toward hitscanners and tricky ambushes. On the other hand, there are a bunch of soul spheres stashed around. Doing the western teleport ambush room in a speedy manner is very hazardous to your health. The finale, not so much. It's mostly about managing the enemies in the outer ring and taking care not to get pushed into the Crusher. There are a ton of secrets and plenty of bits where the level connects back into itself, so be careful; you're liable to get lost. Pretty cool; very moody. This doesn't vary too wildly from the "Dead Simple" format, by which I mean the layout is basically symmetric with similar monster groups on the edges. The contents of each mancubus tower varies, however, and the core gameplay really has nothing to do with the original MAP07 apart from the ending, which dumps an enormous wave of arachnotrons into the outdoor area. The opening is a classic bait and switch where you think you're just going to have to fend off a nasty bunch of shotgun guys, but then the walls fall and you're exposed to a big melee with imps and demons and Hell knights and mancubus turrets in addition to the aforementioned shotgun guys. After that, the action kind of stagnates since you're doing more or less the same thing four times over, whether it's shelling entrenched revenants or dealing with the walls of cacodemons. Great opening, though. 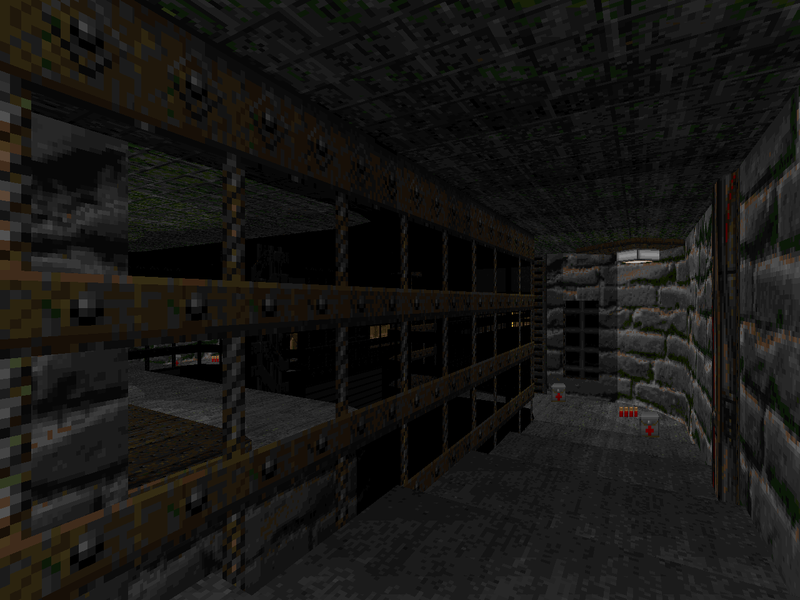 An impenetrable deathtrap tech dungeon filled with darkness, crushers, and sawtooths. Go ahead and waltz up to that shotgun and see what happens! If you're not prepared to probe every area from every angle and see what approach yields the best rate of survival, you might want to dial the difficulty down, because BeeWen pulls no punches, whether it's the micro-slaughter room to the southeast or the imps, arachnotrons, and specters in the dark of the southwest. It's also littered with switch-fu, so puzzle players might have a ball if they can grit their teeth through the tricks and traps. The optional cage encounter is a pretty cool moment, and while the micro-slaughter room gets really cramped, it's a pretty fun fight. A strange level, fielding the smallest number of monsters since BeeWen took over. The most shocking addition to the experience are destructible crates, marked "EXPLOSIVE", and have useful pickups hidden inside. 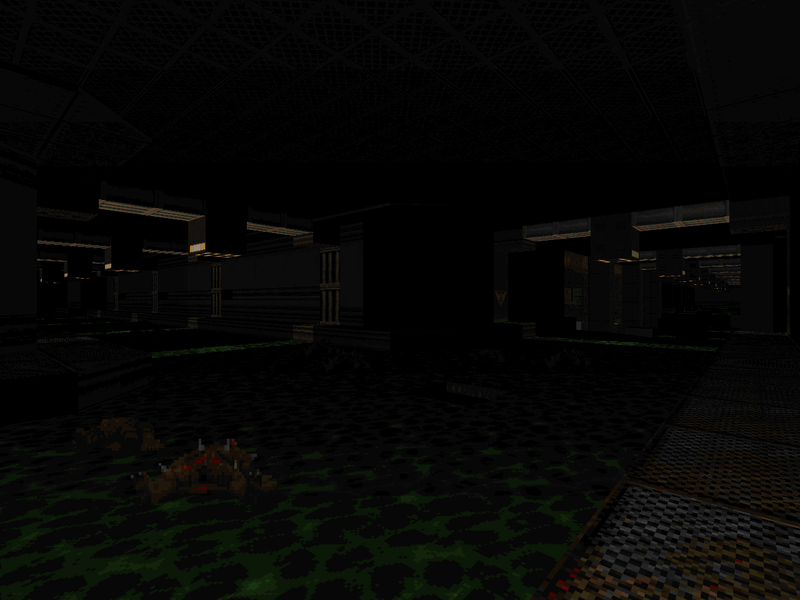 These are strewn about in the main "Pit" area, where you will both start and end the level. The opening is hitscanner Hell, but if you sort it out, you get a neat slice of Doom II platforming as you battle through this leg of the sewers. The northwest area has the MAP09 homage in the two sequences of elevators (just hope the automated ones don't sync up poorly) leading up to the outdoor BFG area, which is a wee bit tricky with the pain elementals but has plenty of cover. Of course, you had to bypass a Cyberdemon and some guardians to get there. I also dig the lost soul / incinerator room. Really, just seeing those crates made my day. This WAD was amazing. Maps 5+6 might be the highlight of the year for me. I think it's one of the better wads the RDC has pumped out, partially a result of not being speedmapped, though the architecture tends to shine above the gameplay, which at least for me seems to be a typical trait of RDC wads (I'll give Memfis the exception, both here and for the rest of his work). Good set regardless, overall - and on average a better quality than D2INO. Enjoyed it a lot more than D2INO. And far far creepier!